IMPORTANT ANNOUNCEMENT! 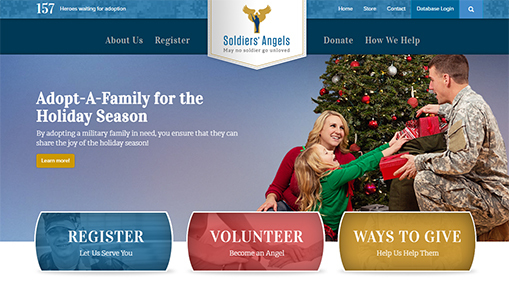 We have just identified a copycat website impersonating Soldiers' Angels using the URL soldierangel.org. Please DO NOT visit or donate to this website. We are working on getting the site shut down, but in the meantime, please help us spread the word. Our correct website address is www.SoldiersAngels.org and when you are visiting our site, you will always see "https" ahead of the URL address. We recently posted a blog in collaboration with ConsumerSafety.org with additional tips to avoiding scams this holiday season. Please take a look to learn more about how to identify and be on the lookout for scams.